Starting with the Wilmington Prints Unbridled panel, this quilt was constructed with uniquely pieced borders. 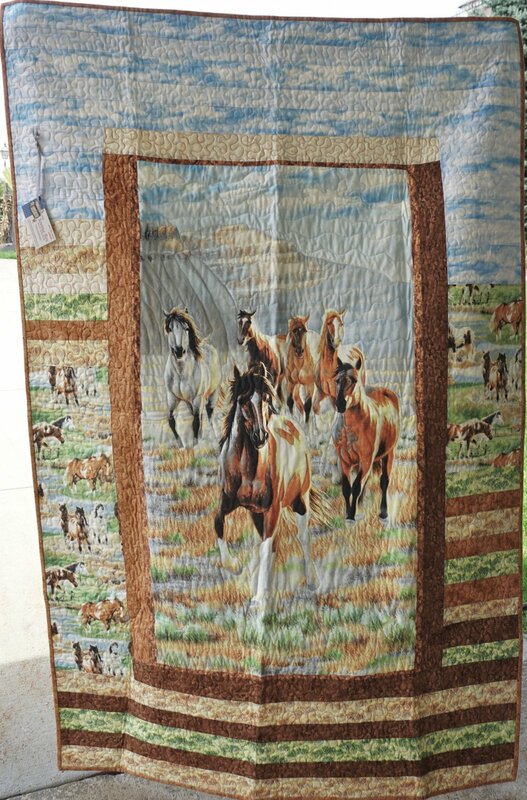 It's the perfect quilt for the horse lover. The quilt is complete with matching back, hanging sleeve, and custom quilting.